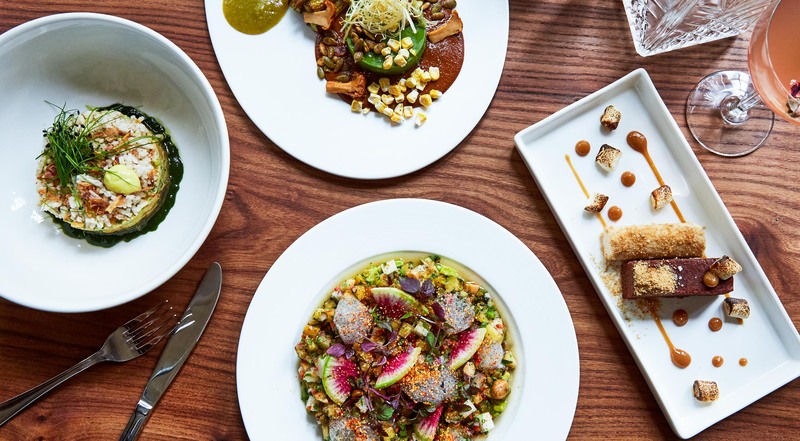 They opened in East Village in 2015 and was one of the first vegan fine dining restaurants in the city. 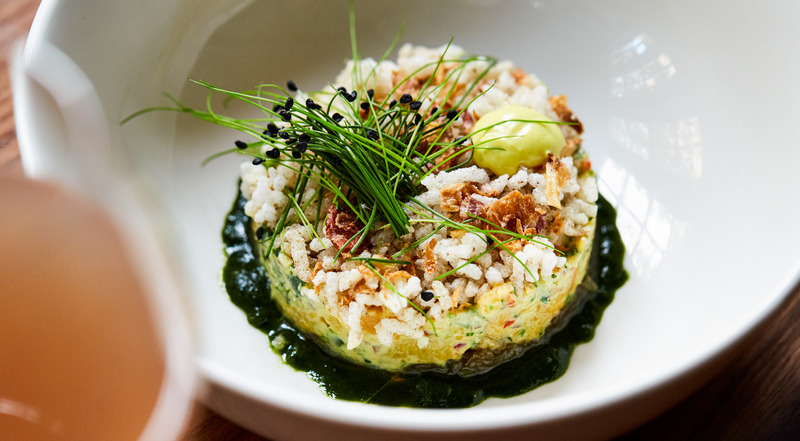 They have received glowing reviews and are named one of NYC’s Best Restaurants (regardless of diet preferences!) by The New Yorker, TimeOut, Eater, The Infatuation and Michelin. 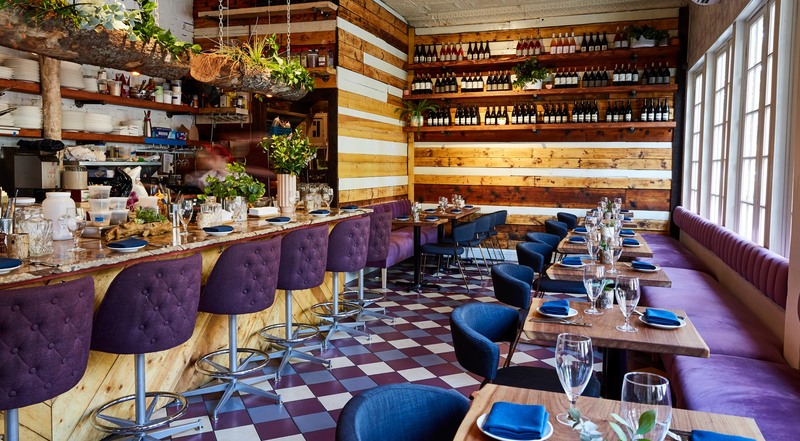 Now, Avant Garden has opened their second location – an amazing plant-filled restaurant in the heart of hip Williamsburg, giving curious foodies mind-blowing experiences with vegan food. Invite friends and family for an unforgettable gastronomic experience at Avant Garden in Williamsburg. Every voucher is valid for a three-course menu for one person. Purchase one or more vouchers. From the innovative menu, you get to choose the dishes yourself. 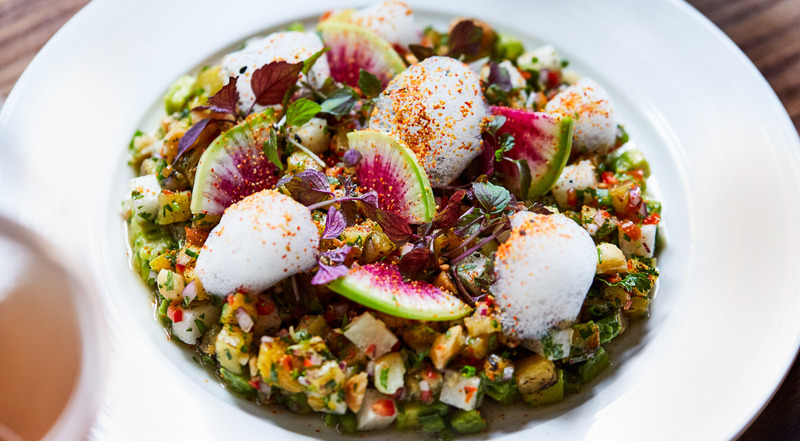 Pick one course from the ‘Toast’ or ‘Cold’ section that ranges from pineapple tartare with macadamia nuts and yuzu to elevated avocado toasts and butternut squash with caramelized shallots and puffed rice. Taste the merguez eggplant with fried chickpea salad and hazelnuts or go for the avocado with crispy rice, miso and blistered shishito. Next up, is a course from the ‘Hot’ section. Try the scorched cauliflower with toasted garlic, fried capers and cauliflower purée. 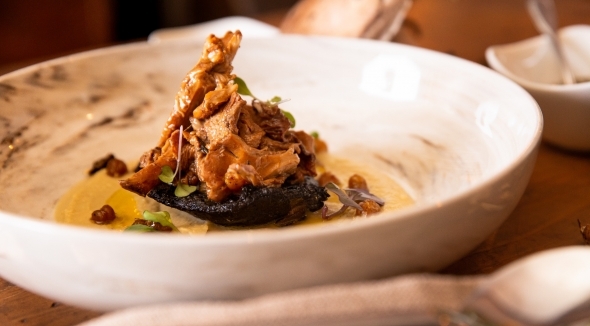 Enjoy the spiralized celery root with gremolata and crispy shiitake mushrooms or go for the mole with baby corn and picked chanterelle. 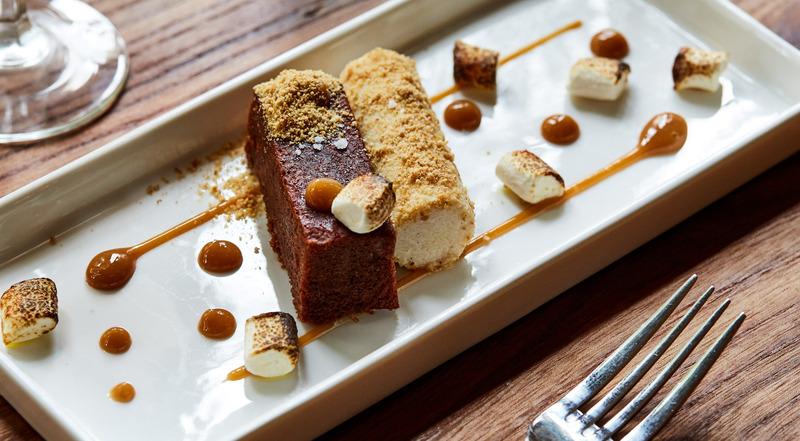 For dessert, taste the famous chocolate cake with homemade ice cream, toasted marshmallows, crumble and much more. Out of this world food and service! Adventure for the taste buds. Must try! Vegan or not, you need to dine at Avant Garden. Fantastic service, ambiance and the food was crazy awesome! The best vegan experience when in NYC, for sure. The food is SO incredibly good! 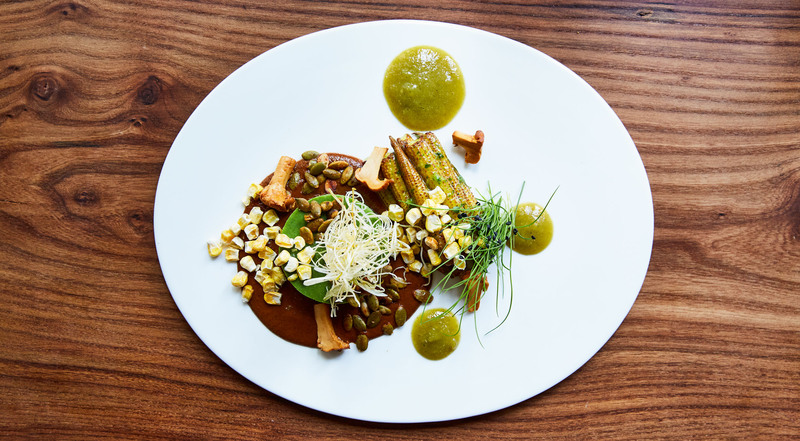 Avant Garden is raising the bar on vegan fine dining. The mission? To make the world a better place by celebrating vegetables for their endemic flavors and to give people food experiences, they have never had before. Vegan or not, the food is absolutely amazing, and the menu is completed by innovative cocktails, natural wines and homemade fruit waters. At Avant Garden, vegetables and plants are the attraction, not only on the menu but in the decor, too. 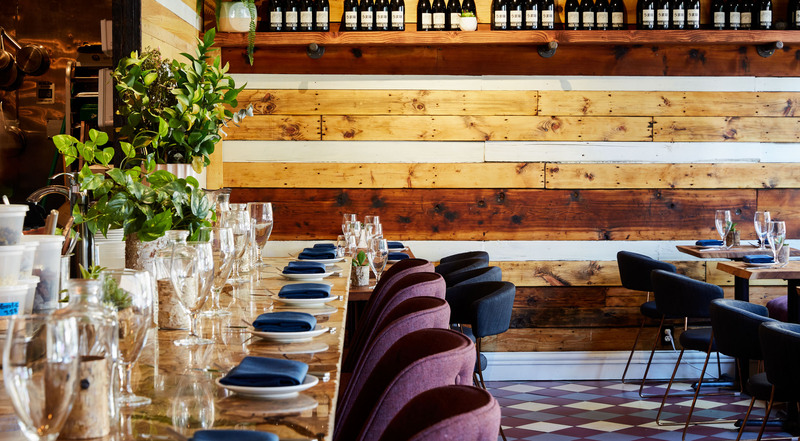 Over the eight-seater chef’s counter, logs are filled with wild greenery, while wood tables, dark purple chairs and banquettes run through the rest of the space. The setting is unique and the kitchen wide open, bringing acclaimed chefs and guests close to each other.